Native to East Asia, Ming and Tian are our two resident mandarin ducks, though you may see many more on your visit. Ealing has a large wild population of these beautiful birds, who would have escaped from private collections many years ago and made our suburb their home. The male’s stunning plumage helps them attract a mate, while the females more understated appearance is perfect for blending in with grasses and leaf litter. Like many other ducks, both the female and male moult (lose old feathers to grow new ones) right after breeding season. This means they can’t fly for a few months, making them susceptible to predators. 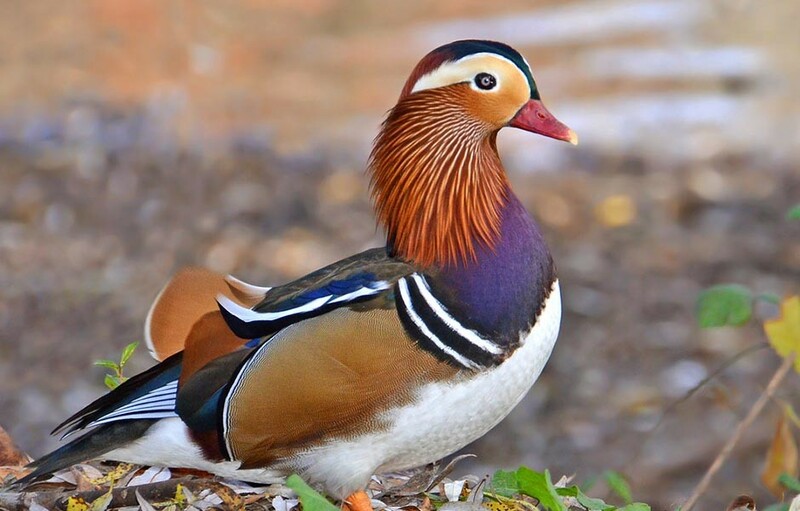 However, the male mandarin has evolved to maintain a more understated plumage like their female counterparts, during this period, and this is why we refer to it as an ‘eclipsed’ plumage.